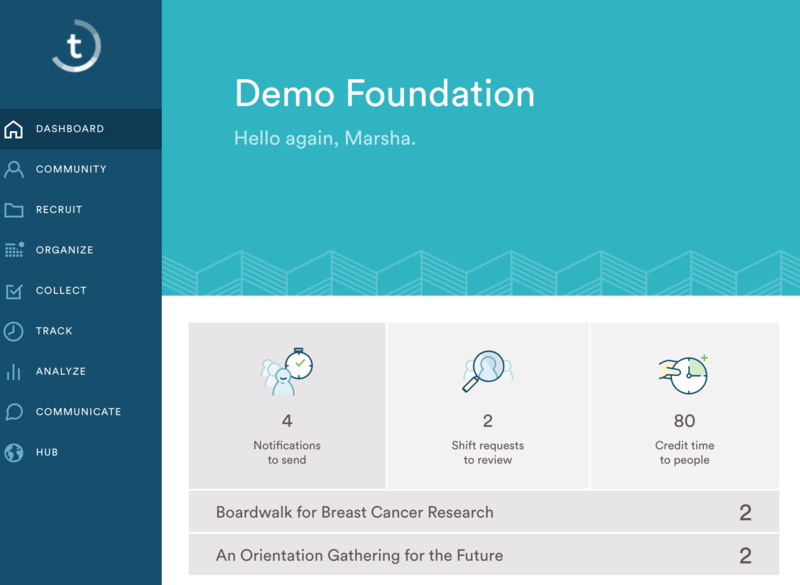 When volunteers signup for a shift, event, or assignment, they will receive a confirmation email. If permission settings are set to auto-approve, this confirmation email will also be an immediate confirmation of their commitment. 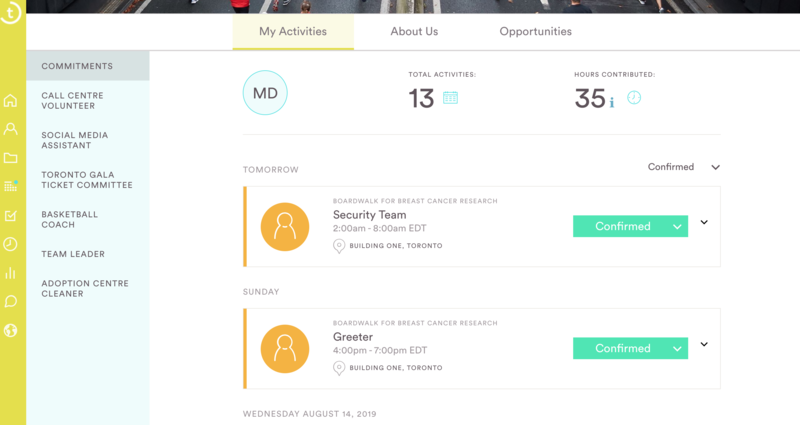 When you make any changes to a volunteer's schedule, you will see the 'Notify' button on the top right side of your screen. You can Notify one person at a time or as many as you'd like. You can easily control this functionality. 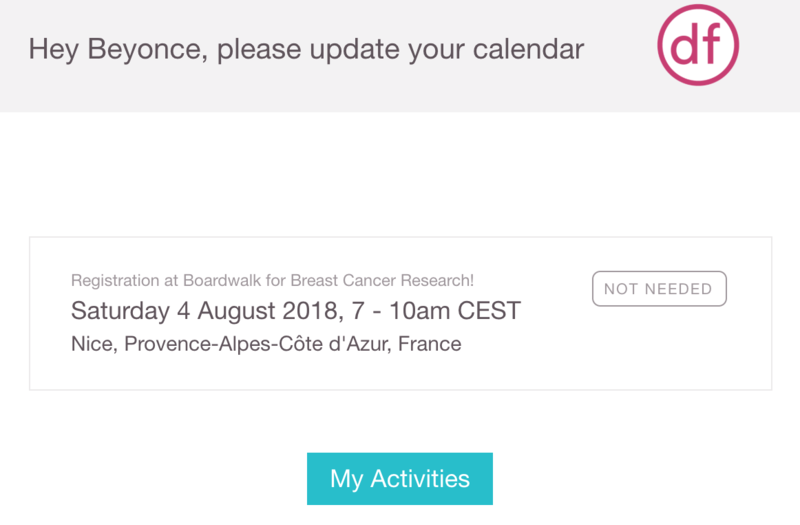 If you step away from your computer and forget to send right away, don't worry, you will see 'Notifications to send' as a task on your Dashboard. Once you hit the 'Notify' button, an email will be sent indicating the changes or updates made. If there is more than one change for the same person, they will only receive on email. Unless it's a cancelation, as cancellation notifications are sent separately given the importance. On Sunday evening, volunteers with commitments will receive an auto-reminder email for the week ahead. 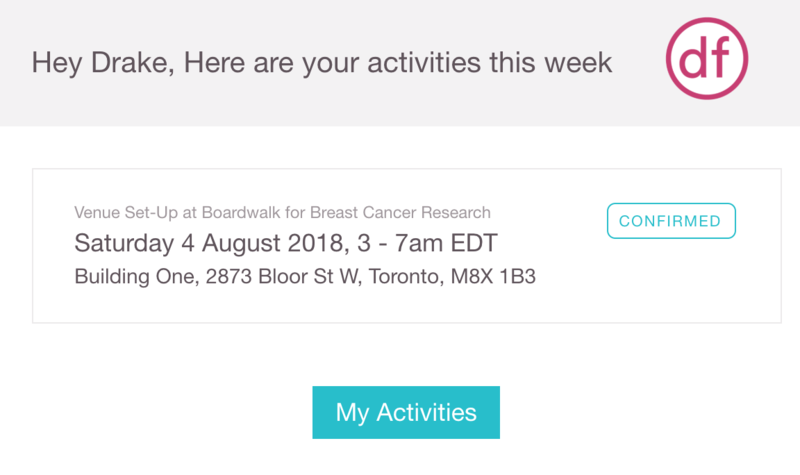 When volunteers click the 'My Activities' button at the bottom of the email, they are prompted to login or create an account, and then they're directed to the 'My Activities' page of your Hub. Here, volunteers can view upcoming shifts and even cancel shifts if needed.